London-based PR firm W Communications has been appointed by animations studio Nexus to bring the White House's new augmented reality (AR) greetings card to life in the UK. 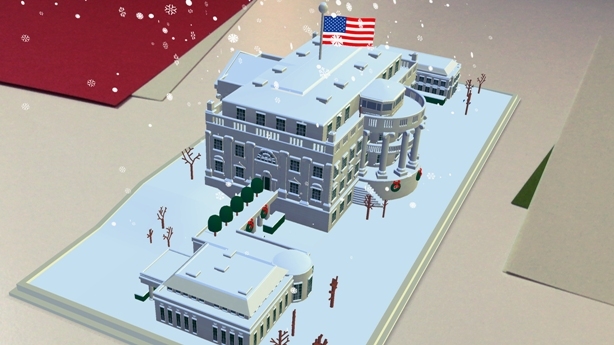 The card, which is narrated by press secretary Josh Earnest, takes users on a virtual journey of the White House, celebrating a number of traditional events that happen at the house throughout the year. Users can interact with the card through the '1600' app, which is available for download via the App Store and Google Play. Once downloaded, the AR animation can be activated using a one dollar bill. W has been tasked with promoting the card via "wide-reaching" PR activity in the UK, focusing on national broadcast media, national print titles, creative media, and business press and tech titles in particular, an agency spokesperson told PRWeek. Becky Charles, head of media & corporate at W, added: "This is an incredible and pioneering project from the White House, at a historic time for the US." US PR pros in London react to Donald Trump's US election victory. The agency has also been tasked with building Nexus's profile in the UK, including potential to activate further projects with the company. Nexus will sit within the W's media and corporate division, the agency said. W, which reported revenue of £4.1m in 2015, according to PRWeek's Top 150 Consultancies report, recently acquired House PR to help "supercharge" its UK growth.